There are different kinds of investing. Each has a different purpose. Depending on what you want from your investment, you can follow one specific kind of investment or a combination thereof. Experts suggest to have a diversified portfolio that can accommodate your investment strategy for the long haul. Long-term investment is the way to go. So when you talk to your financial adviser, you would be able to explain what you want from your investment. As the name suggests, the goal here is to select companies that provide steady streams of income. 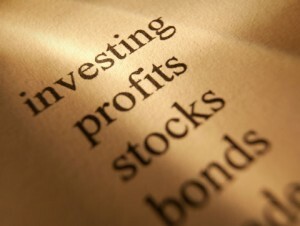 It can include the purchase of bonds and other fixed-income securities or dividend-yielding stocks. The goal for investors is to look for company stocks that are undervalued in the market. In other words, the particular stock is trading for less than its intrinsic value. The goal here is to select stocks that have good potential for growth. In other words, select a company whose earnings are expected to outpace the industry or overall market. The goal for investing here is to select a company that pays profit distributions to shareholders in the form of dividends, which can be paid in cash or company stock. Obviously, if the dividends are reinvested, overall investments will increase at a compounded rate. There you have it. Four basic kinds of investing. Before embark on your investment journey to grow your money, talk to your financial adviser.